Around with TransjogjaDuring the tour in Yogyakarta, many alternative options for surround and visiting tourist spots. One of them by public transport, in Yogyakarta there are many buses in the city at an affordable price. 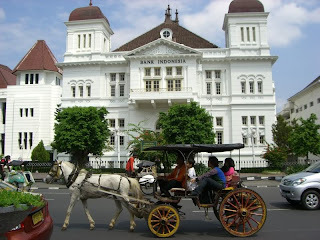 There is also a bus ride TransJogja with ticket prices of Rp 3,000 for a single trip. This bus route also passes several strategic places in Yogyakarta. In Yogyakarta there are many cheap accommodation, one in Sosrowijayan. This place is a backpacker's paradise. Sosrowijayan What is a little street in Malioboro area about 200 meters from the monument. In addition to the strategic place, lots of choice of various hotels with cheaper rates, ranging from Rp 50.000/people/night. If departing from Jakarta, there are several options the economic train to Yogyakarta at a bargain price. Suppose by train Progo economy with a ticket price of Rp 35,000, you can get the train safely Yogyakarta. If departing from London could use the train Kahuripan for Rp 24,000. Why train the economy? In addition to cheap, if departing from the Jakarta-Bandung economic train ride is also quite save time because it will avoid jams. Affairs stomach not to be missed. With the hundred thousand, you can enjoy a variety of culinary cheap for a few days in Yogyakarta. You can enjoy gudeg wet, typical of the city's culinary offerings, for breakfast at the price of Rp 7,000 per share complete with shredded chicken. You can find a seller gudeg wet, pecel vegetables, chicken porridge, soup and so on in the morning on the outskirts of Malioboro Streat. For lunch, there are still plenty of restaurants in Yogyakarta, which sells a complete vegetable rice with side dishes and drinks for Rp 7,000 to Rp 10,000 per portion. Well, cheap food options will be more widely available at night. Who is not familiar with ankringan, tents stalls typical name for Yogyakarta. Angkringan a distinctive choice for travelers to spend the night in this city. In this famous, there are a wide selection of drinks to warm the body. Many rickshaw pullers who became an agent of the typical hawker stores Yogyakarta. They get a commission if passengers go shopping there. Instead delivered directly to your destination, you are forced to stop by the store. Therefore Clarify your goals to the rickshaw pullers. For shopping, you do not have to worry if your bag is not strong. You can shop at Beringharjo market, shopping paradise of Yogyakarta. But you must be willing to squeeze into the inside of the market for low prices, ranging from batik clothes, bags, to batik fabrics. If you want to buy accessories such as bracelets, trinkets, and sandals of Yogyakarta try to buy at the grocery store, the price will be cheaper even if you buy retail. 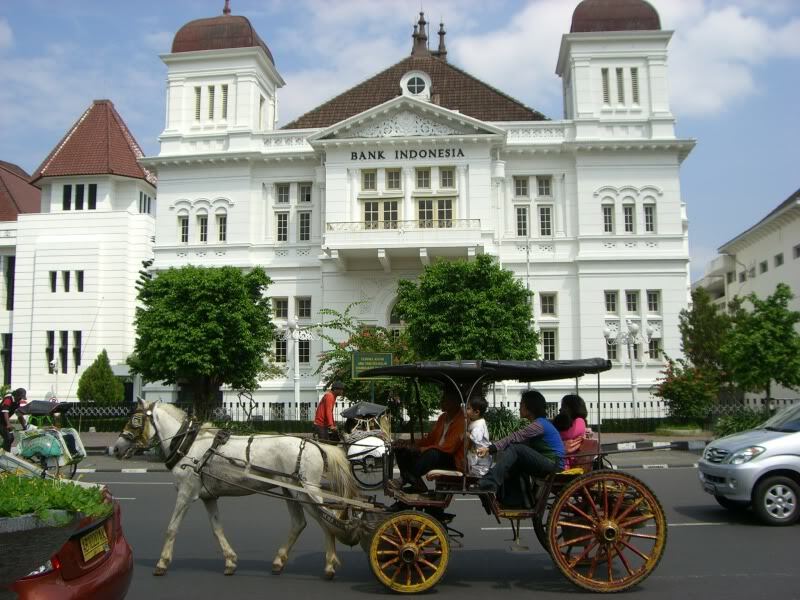 Many attractions in Yogyakarta that can be enjoyed at low cost. Most of the attractions offer still cost less than $ 5,000, for example Vredeburg, Sultan Palace, Taman Sari, and others. Just a suggestion, try searching for the right time with the holding of cultural events in Yogyakarta. For example when the Yogyakarta Arts Festival takes place, you will get a bonus free cultural tours and art that goes almost every day for a month.